Hers is the kind of story that dreams (and movies) are made of: a Chicago girl with a voice as big as her heart catches the world’s attention on a televised talent show, then goes on to win the Grammy and countless other awards—including the Oscar for her very first film. 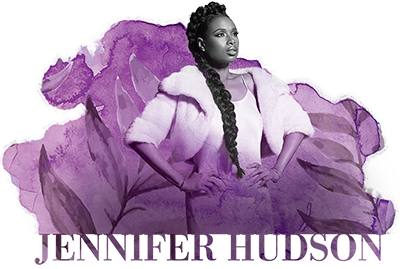 Jennifer Hudson, who made her only Ravinia appearance in 2011, is a star by any measure. And we’re thrilled to announce that she’s the star of our 2019 Gala Benefit Evening. Visit the concert page. This special evening, hosted by the Women's Board, is the only performance fundraiser benefiting Ravinia and its REACH*TEACH*PLAY® education programs. Over 85,000 community members are served through these programs each year, ensuring that music education remains accessible to all. Our programs are designed to educate, foster diverse audience involvement, and provide equitable access to live music experiences in communities and at Ravinia. Give the gift of music education! For more information or to make a donation, please call 847-266-5045 or email gala@ravinia.org. Ravinia Festival is a not-for-profit organization.